Join Lake Forest Book Store in welcoming interior designer and author Erin Gates as she celebrates the release of her newest book. $68 includes lunch and a book. 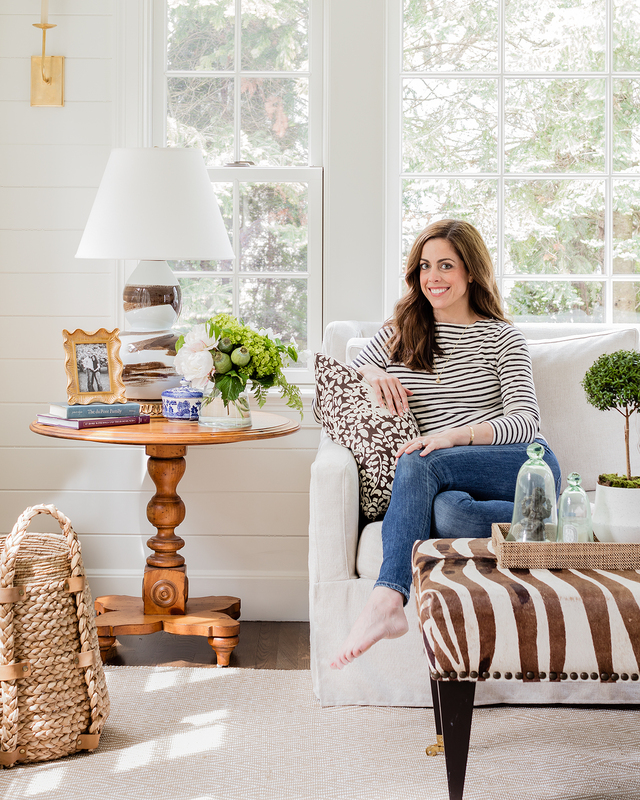 New York Times bestselling author and popular lifestyle blogger Erin Gates shares everything you need to know about designing a beautifully stylish--yet practical and functional--family home through candid advice, inspirational ideas, and lessons learned. Loved by her readers for her chic interior designs and frank and funny revelations about life behind the scenes of her picture-perfect blog, bestselling author and designer Erin Gates presents a new book about how to live stylishly amidst the chaos of daily family life. Throughout her career designing homes for families of all kinds all over the country, Erin has always maintained that living with children and pets does not mean that you have to forego nice things. This uniquely personal and practical guide will explain how to create a home that makes you proud and reflects your own style while also being durable, safe, and comfortable for children. It focuses on the spaces families share, those that are dedicated to the kids, and the oft-forgotten retreats for parents. Erin combines honest design advice and gorgeous inspirational photographs with engaging and intimate personal essays about life lessons learned the hard way while struggling with infertility and becoming a mother, managing a business, overseeing her own home renovation, and finding time for her marriage. She'll share how to store toys so that shared spaces don't look like a kindergarten, the expensive-looking fabrics that will stand up to a marauding toddler with sticky hands, nursery looks that go beyond blue and pink, and furniture that does not have to be stored during the baby-proofing years. She also showcases the work of other designers she loves who surround parents, children, and their pets with comfort and beauty. Like a best friend who has a knack for style and a taste for fun, Erin opens her front door and invites you into her life and all of its beautiful imperfection.